2017 brings the 53rd anniversary of Midwest Heating Cooling and Plumbing serving the Greater Kansas City Area. For almost 60 years we have been a family owned and operated Kansas City company. **The $1600 includes up to $1300 from Lennox for qualifying equipment and $100 for the PureAir, $100.00 for S30 Thermostat and $100..00 for the iHarmony Zoning System. For more information about our financing options click here. Trade-in Allowance up to $1000.00!!!! 0% APR, 36 equal monthly payments required, financing until on an Eligible Trane System Purchased. Talk with a Comfort Advisor today to learn more about the great savings Trane is offering, today! We have it available with approved credit. Take advantage of some incredible financing offers to help you get that new energy saving equipment that you've been putting off. Please talk with one of our Comfort Advisors for all of the details. All systems are eligible for special financing different from the manufacturers offer through Well's Fargo Financing or BENJI. Contact an "Airman" Comfort Advisor for details! You may also be eligible for additional rebates from the local utility companies with qualifying equipment. Please call "AIRMAN" and ask for specific details. Just dial 816-943-8787 or 913-648-8787. 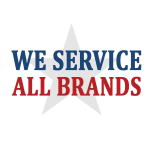 Mention this ad and receive 15% off of a service call for plumbing service. This is for the service call only and does not include parts or labor. Midwest Heating Cooling and Plumbing is pleased to announce that we earned an award from Angie's List for "SUPERIOR SERVICE" in 2016. This award is judged by our own customers and all the customers of our competition. That makes 10-years in a row that we have won this award. Thanks to all of our customers and our employees that have made this possible. Midwest Heating Cooling and Plumbing has been given a A+ rating as an accredited business. That's the highest ranking available by the BBB! We did it again! By we, I mean you and Midwest Heating Cooling and Plumbing. With the trust you have placed in us and the hard work of our employees, we have won another Dave Lennox Award! This award is given to the top 25 Lennox dealers in all of North America from over 7000 Lennox dealers! We are one of two companies in all of North America to have won it every year that it has been available. We are very proud to be a part of this remarkable streak. Thanks to all of our loyal customers who have made this possible and allowed us to serve your HVAC needs. Thank you for taking the time to read our news page and for being a loyal customer. If there is ever anything that we can do to help you, please let us know and we will do our best to assist you.